This post is updated with brand new shiny photos! 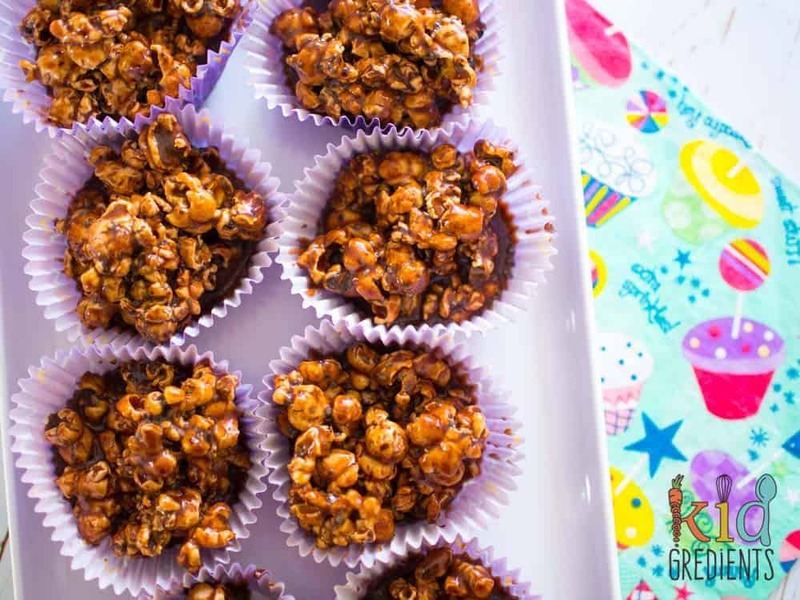 I made these popcorn choc crackles again for a park playdate. 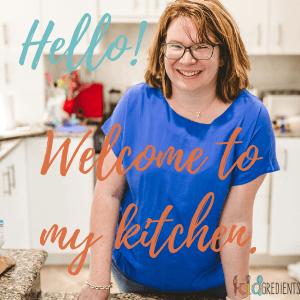 I was surprised, as my kids love them, but I really thought that other kids might think they were odd, or not sweet enough. But…they loved them! I came home with none! Because they were being done for a playdate, I used cupcake liners and they made them much easier for the kids to manage. So…I’ve got a video on facebook about how to make your own popcorn. 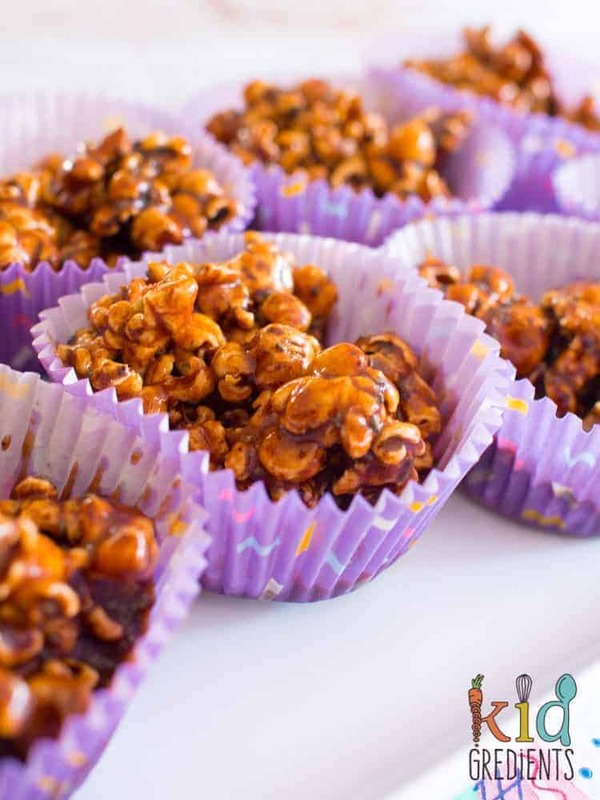 I recommend you watch that before you make these because it means they are a lot more economical and that you will have popcorn with no nasties on it! 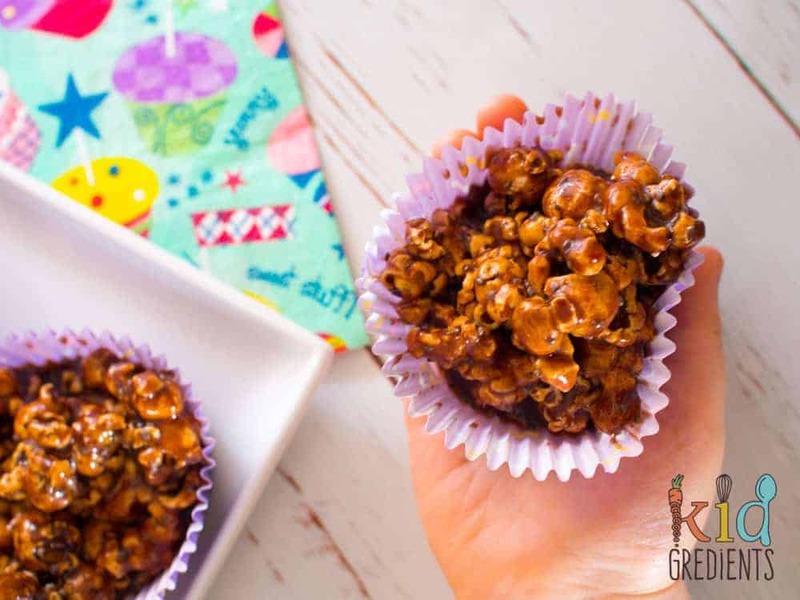 Then you’re set to make these popcorn choc crackles plus you’ll have a good stash of popcorn leftover for lunches. Now, for the sake of honesty, these aren’t actually chocolate! Does that make them more awesome? Yes. 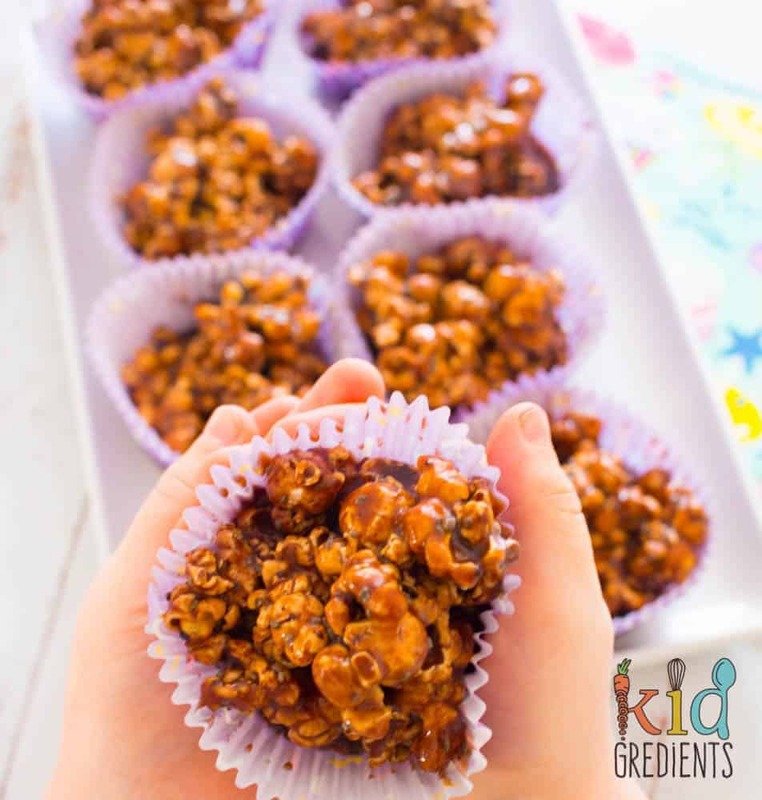 They are just as yummy as traditional chocolate crackles and the popcorn makes them extra crunchy and super yummy. Plus there’s some sneaky chia seeds snuck into them. These are best served cold, but if they are kept in a lunchbox with an ice brick, they will be fine. I pop a small baran (silicone divider) under them in the lunchbox so as to ensure they come out easily.. Thinking about it, my kids have only had ever had chocolate crackles once, so I don’t know that they could compare the two, but both of them found these to be very yummy. 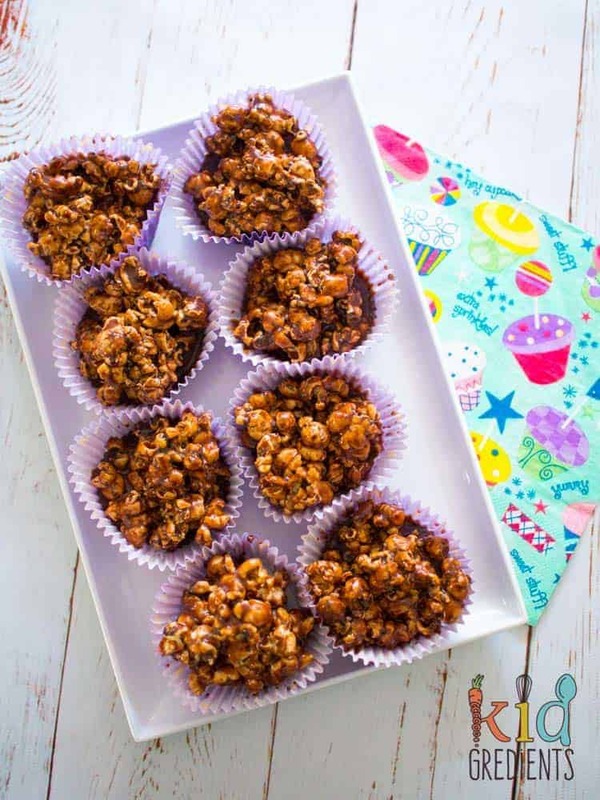 These are gluten free, dairy free and delicious! Heat the honey, coconut oil and rice malt syrup in a small saucepan on the stove until it forms large bubbles. Remove from the heat. Put all the dry ingredients in a bowl, pour over the wet ingredients. Stir well then spoon into mini cupcake moulds. 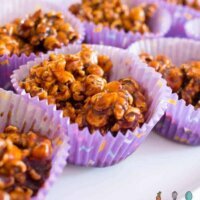 Can you make in advance of a party? Or is it best to make and eat on the day? I have even made them and frozen them before! Yum yum yum yum yum yum!!! No Heidi, I mean cacao. Cocoa is the less healthy version of cacao! 1/2 cup. I’ll fix it! Thanks for letting me know! Enjoy! They’d be great for a party! Lol. Go for it Lu. They are so easy to make.